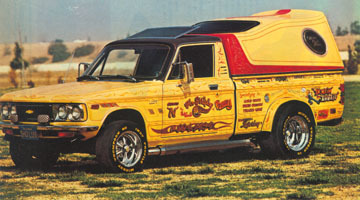 Here's the first Original paint job. 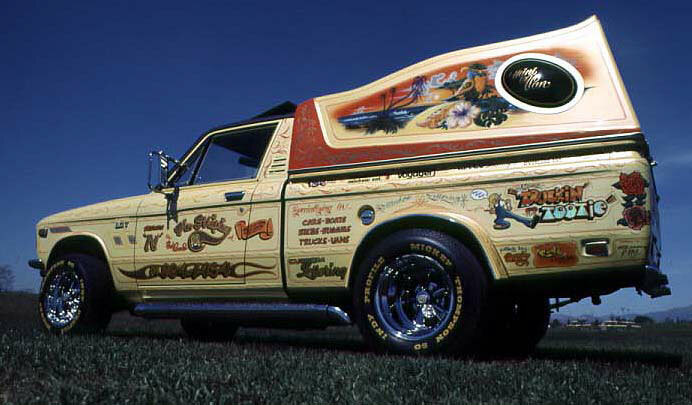 The second paint job, done in 1977. 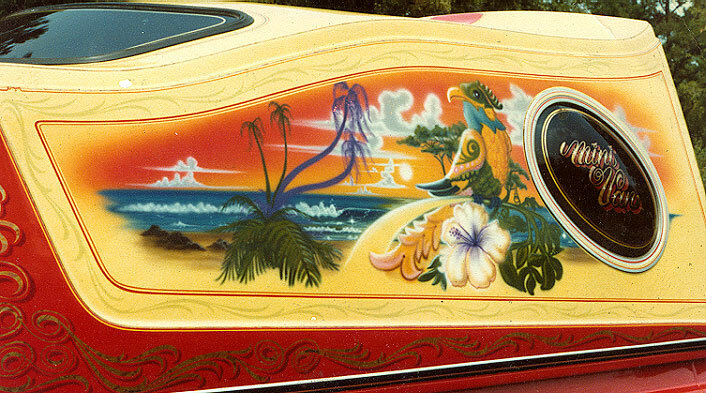 The third paint job, done in 1980 and how it looks today. click on photo to see larger views. 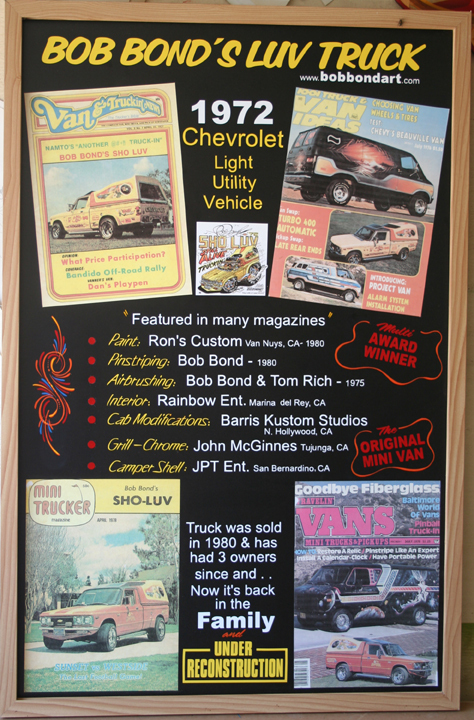 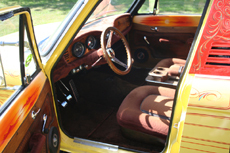 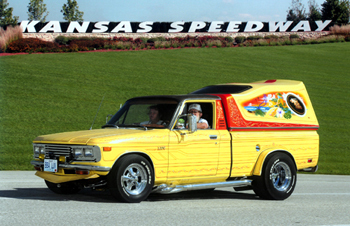 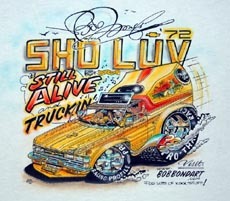 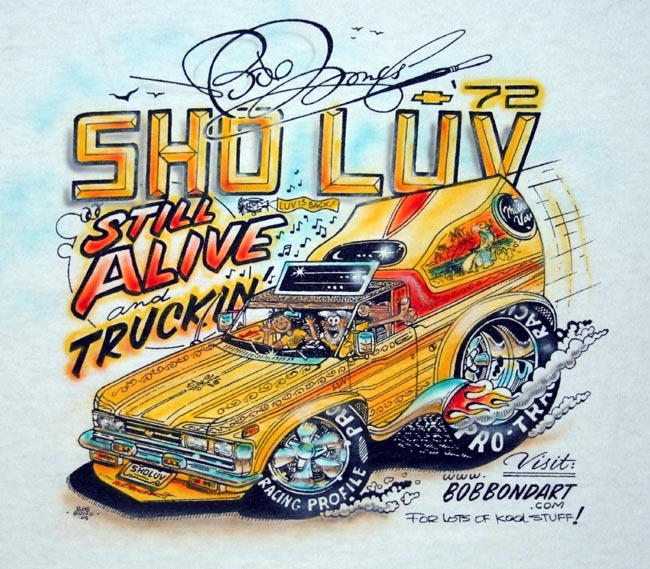 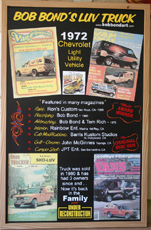 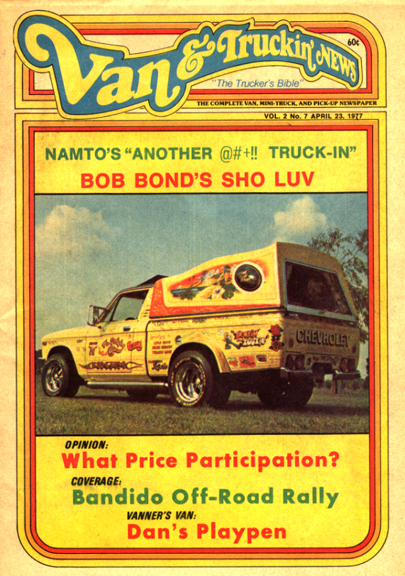 This 1972 Chevy LUV Truck was customized by Bob Bond's Artistry back in the 70's The first paint job consumed over 800 hours of painting time and appeared in and on the cover of many magazines. 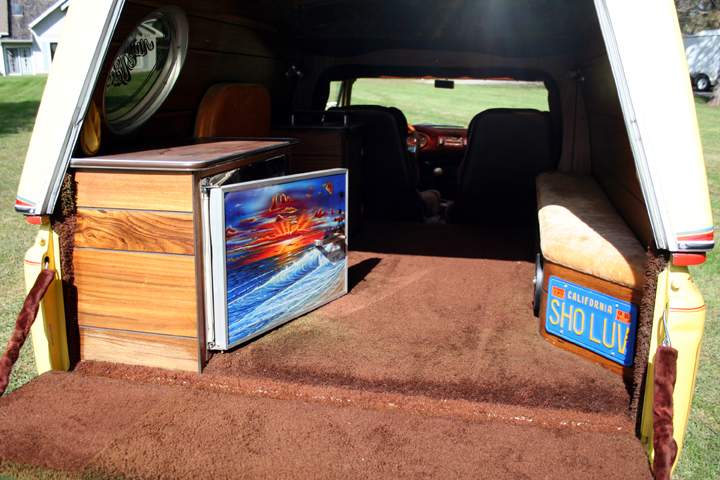 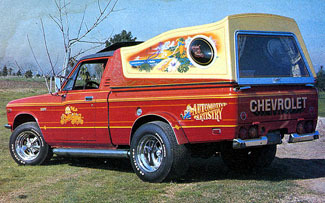 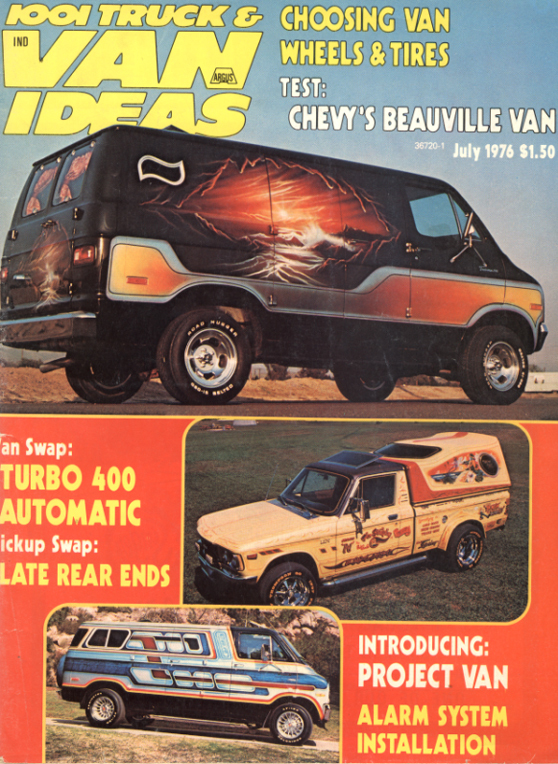 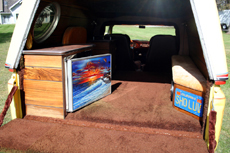 then the bed/campershell was attached to the cab making it the first official Mini Van. 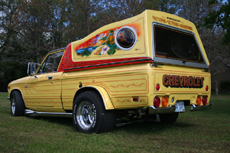 NEWS UPDATE: I found the truck believe it or not in Maine. It's been well preserved but a little neglected over the years but in really good shape overall. 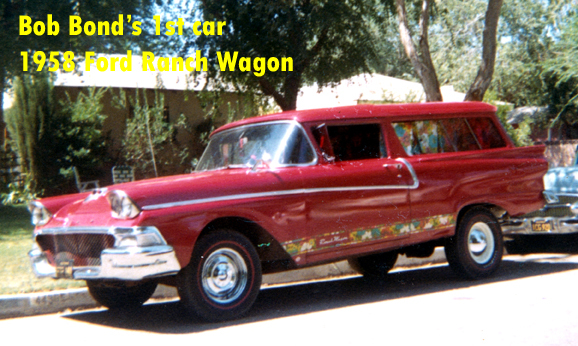 It's been owned by 3 collectors since I sold it in 1980 and now back in the family and under renovation.